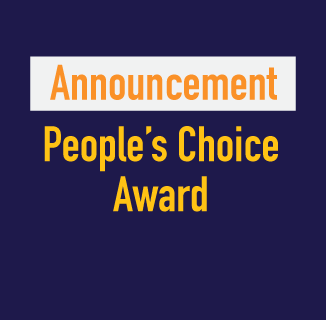 Vote for the 2017 People’s Choice Award! We’re looking forward to celebrating the 2017 Interaction Awards winners on February 8th at Interaction17 in New York, but there is one more award left to choose: The People’s Choice Award. It’s your turn to be the judge. This is the one award where the design community chooses to elevate and celebrate one project that represents the best of Interaction Design among this year’s shortlisted entries. The Interaction Awards’ People’s Choice voting is now officially open at http://awards.ixda.org/entries. 1. Review the shortlisted projects. 2. Find the project you think represents best-in-class interaction design. 3. Vote. On each project page, you’ll find a “Vote” button that will enable you to Tweet your vote. You may vote once for each project you wish to support. Retweets are nice but only original tweets will be counted, and only one vote per project for each Twitter account is allowed. The project with the most votes as of midnight (New York time) on February 7th will win! The recipient of the People’s Choice Award will be announced along with other winners at the Interaction Awards ceremony. Including a years worth of bragging rights. Spread the word and vote your favorite projects!